The best documentaries about an individual are those which manage to not only capture that individual’s energy, but match it in the tone of the feature. 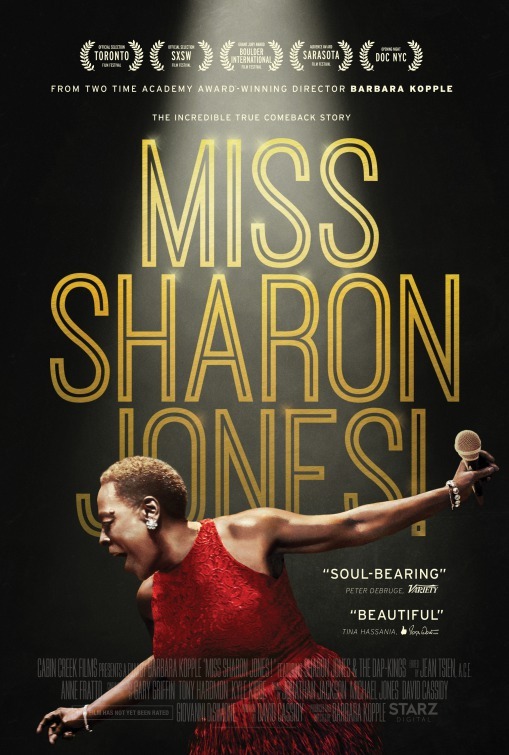 Barbara Kopple manages to do just that with her latest film “Miss Sharon Jones!” in much the same way she did with her Oscar-winning film “Harlan County, U.S.A.” only in a vastly more focused way. Where that film’s mission was to capture a turbulent labor movement in rural Kentucky, this film is zeroed in on one woman’s undying desire to sing for a living, no matter what obstacles she encounters. 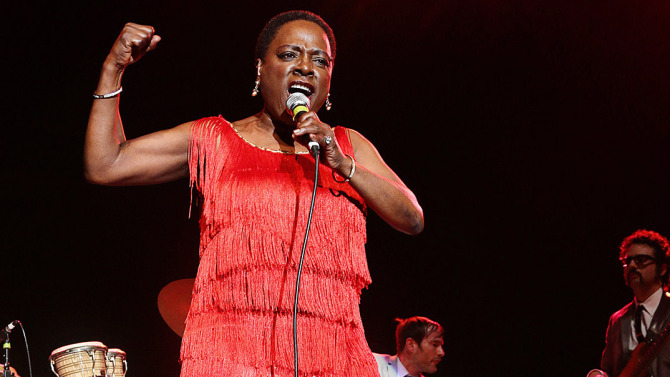 If you’re not up on the R&B music scene—as I embarrassingly am not—you may be unfamiliar with Sharon Jones, lead singer of the Grammy nominated group Sharon Jones and the Dap Kings. If so, let me recommend that you familiarize yourself with her music as soon as possible, hopefully before watching the film. The incredible vocal skill she displays in her music comes from a lifetime of longing to perform. Sharon is one of those people who knows what she was put on this earth to do, and the years of struggling she went through to get there come through in her voice in a way that transcends the music itself. Kopple’s film opens with a quick rundown of Sharon’s many jobs that she held before fronting the Dap Kings. Just four minutes into the film, before we’ve really even gotten to know her, we see Sharon at her most exposed, having her braids cut off and then her head shaved before undergoing chemotherapy for Stage 2 Pancreatic Cancer. It’s a beautiful moment of real human vulnerability, and one that immediately endears her to the audience. Surprisingly, it’s not even necessary to endear her to us because Sharon’s affable nature and undying determination handle that quite nicely on their own. Truth be told, it’s a combination of all of that which makes her an incredible subject for a film. There’s a brilliance at work in Kopple’s narrative structure of the film. Sharon is battling a very serious cancer that is known to have a very low mortality rate. By introducing this struggle right away, and then showing all that Sharon’s overcome in her life to achieve her dream of making music for a living, it essentially positions her as nearly indestructible. No matter what roadblocks Sharon has encountered, she’s emerged on the other side of them more complete and more determined, yet ever humble. This is a truly uplifting and life affirming film, thanks to a subject who does both of those things so easily. 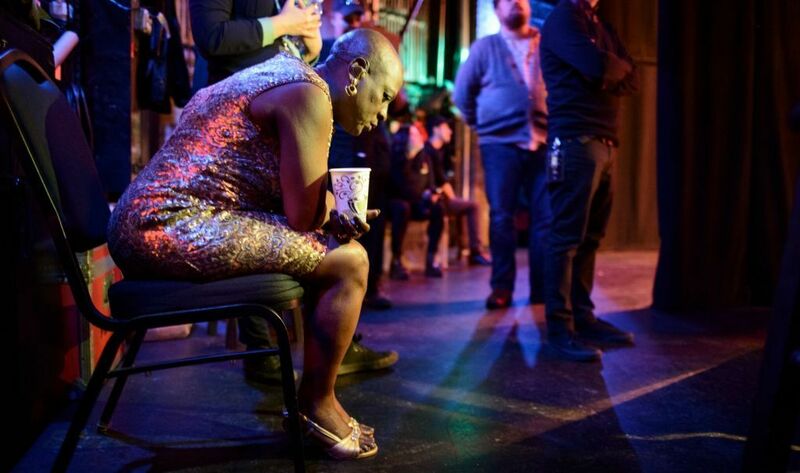 Sharon Jones isn’t a saint, but she carries many burdens with her and is ever mindful of the responsibility to her bandmates that is on her shoulders. What makes her an inspiring subject of a documentary, however, is that she is all too human. It shows us what determination looks like, and how we too can achieve anything to which we set our minds. Woe to the viewer who doesn’t come out of the film with that same feeling.